Bike crashes in Boston are most likely to occur on Massachusetts Avenue, between 4 and 7 p.m., to men between 19 and 31 years old. And they most often occur when a driver fails to see a cyclists or opens a door on a bike. Those insights are contained in a report of unprecedented scale that compiles years of data on bike collisions in the city. With a slew of statistics on crash locations and times, helmet use, and bicyclist and motorist behavior, the report, set to be released Wednesday, could prompt changes in how city officials strategize to ensure the safety of cyclists. Police, who have for years issued warnings to cyclists who run red lights or glide through stop signs, will now hand out $20 citations. But some question whether city officials have used the report to jump to the wrong conclusions, directing more attention on the behavior of cyclists who run red lights or do not wear helmets rather than on improving the city’s infrastructure. 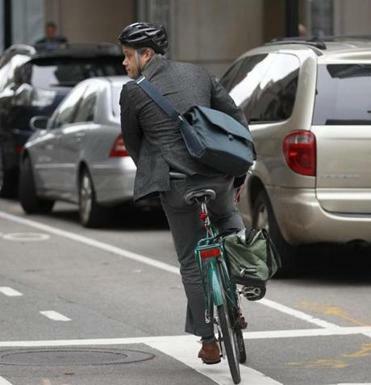 Boston police Captain John Danilecki, formerly of the department’s tactical bicycle unit, said the data from the report have prompted police to become more aggressive with cracking down on cyclists running red lights. Officers will begin ticketing cyclists with $20 citations, an effort that has support from the mayor’s office. The report also highlighted the need for better and more refined crash reporting practices. By the end of this year, said Danilecki, Boston police will probably introduce new software that will allow for more detailed reporting, creating visual graphics to illustrate exactly how a crash occurred. Correction: Because of incorrect information provided to the Globe, an earlier version of this story misstated the percentages of the causes of bike crashes. Of 891 crashes in which possible causes were listed in police reports, cyclists ran a red light or rode through a stop sign before colliding with a car 12 percent of the time. Twenty-two percent of the collisions between cars and cyclists occurred when a vehicle door opened unexpectedly on a cyclist. Eighteen percent occurred when a motorist did not see a cyclist. Twelve percent occurred when a cyclist rode into oncoming traffic.